Canadian and Filipino public school workers face a lot of the same challenges—especially when it comes to issues like privatization and P3s, the struggle for fair wages and benefits, and the impact of government cutbacks on working conditions. The similarities end at state-sponsored violence. Benjamin Valbuena, national chairperson for the Alliance of Concerned Teachers (ACT) in the Philippines, spoke at convention this week about the increasing militarization of public elementary and high schools by his country’s federal government. “What is dramatic is the ongoing militarization in Mindanao. They are attacking the schools and communities of our Indigenous people,” Valbuena said in an interview. Because of a Department of Education memorandum that allows military activity inside schools, some have been converted into barracks and camps, said Valbuena. The number of human rights abuses against teachers, administrators and students has thus gone up dramatically. On September 1, a teacher at an indigenous school in Mindanao, and two union activists, were shot dead by members of a paramilitary armed group—political assassinations widely regarded as part of a U.S.-modeled counterinsurgency program of the Aquino government. 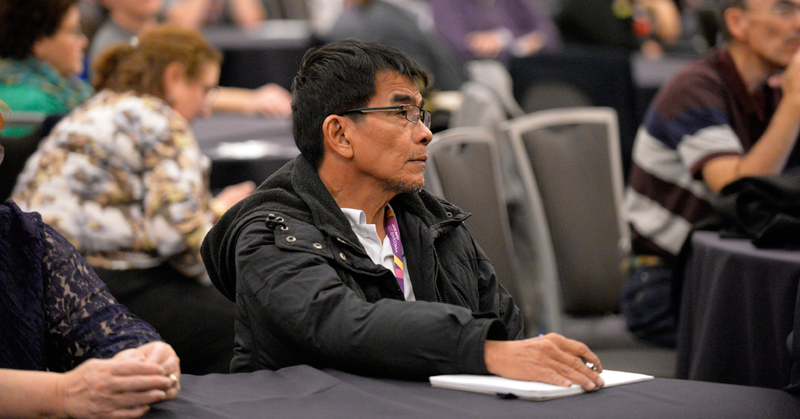 Valbuena thanked CUPE for its worker-to-worker solidarity with (ACT) and its efforts to help build grassroots unionism in the Philippines’ education sector. ACT is now seeking international assistance in pressuring the Aquino government to rescind the memorandum. “I am very glad that when I spoke two days ago, I really found that people are very interested. They are listening to the plight of Filipino teachers,” he said.